+15 pics from Kyle's LA Times shoot from May 19th, 2017. 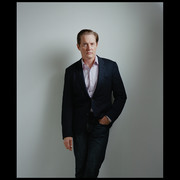 Photography by Jennifer S. Altman. +2 pics of Kyle from SXSW 2017. Photography by Paul L Carter. 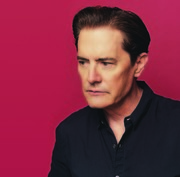 New Kyle MacLachlan shoot for Flaunt Magazine Spring/Summer 2018. Photography by Driely S.
+2 Large pics of Kimmy Robertson from July 2017. Slightly better quality than the previous version posted. Photography by Michael Higgins. +1 HQ of Kyle MacLachlan from Tasting Tables (May 2017). 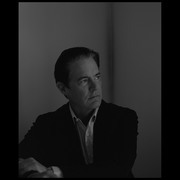 +1 Large photo of Kyle MacLachlan from Tapas Magazine (Feb 2017). Photography by Eric Medsker. 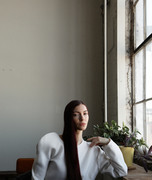 +6 Large pics of Chrysta Bell from Material Magazine No.32 Spring/Summer 2017. +2 HQ pics of Mädchen Amick from Us of America Magazine. Photography by Kei Moreno. Updating the thread with the latest photoshoots as we gear up towards Emmy nominations. Kyle MacLachlan photographed by Kirk McKoy for the LA Times (May 2, 2018). Kyle MacLachlan photographed with David Harbour for Variety's Actors on Actors feature (June 6, 2018). Photography by Peter Yang. 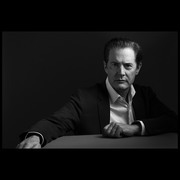 Kyle MacLachlan photographed by Emily Assiran for Backstage (June 13, 2018). 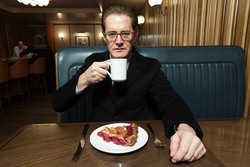 Kyle MacLachlan photographed by Dan Doperalski for Deadline Magazine (June 13, 2018). David Lynch photographed by Josh Telles for Deadline Magazine (June 14, 2018). 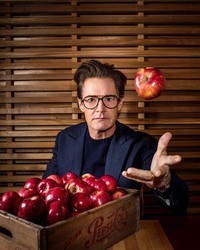 Kyle MacLachlan photographed by Stephanie Diani for The Wrap (June 15, 2018). David Lynch photographed by Dylan Coulter for The Guardian (June 23, 2018).